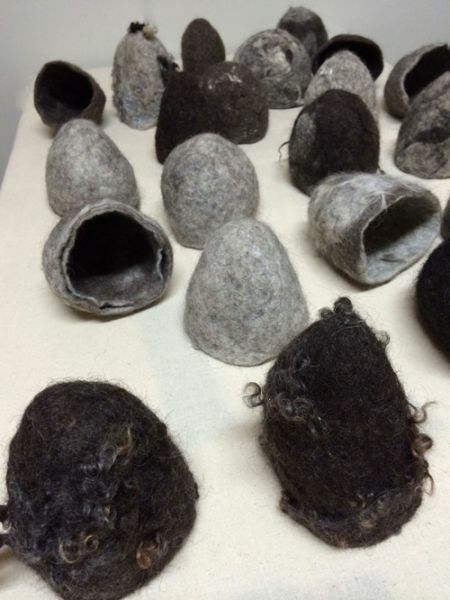 This work is a conceptual art project of several unique felted vessels handmade by the artist Elyn Aviva. Each of these vessels represents a medieval Jew whose inscribed tombstone was once located in Montjuïc cemetery, Girona. These gravestones are now part of the permanent collection of the Museum of Jewish History . The exhibition will be open from 4 to 30 September in the Jewish History Museum, within the museum's regular hours.